SAE and Associates (SAE) has been a collaborator with Ann Boughtin Consulting LLC. SAE is well known for its fluency in behavioral health, including mental health and substance use, behavioral health managed care, integrated health care, HIV/AIDS, criminal justice, residential development, and a variety of populations of focus including veterans, children, youth and families, the homeless, persons involved in the criminal justice system, older adults, women at risk for abuse, and many other populations. SAE uses a holistic approach to grant writing, behavioral health consultation and evaluation. As such they are a trusted partner when in-depth specialty consultation is needed. Collaborations to date have included working with children’s system of care, and working with providers engaged in readiness for managed care. Ann Boughtin Consulting LLC has worked with Community Connections of New York on projects that are uniquely designed to enhance the offerings of health and human service organizations and improve their value proposition. 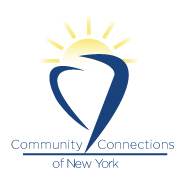 Community Connections of New York provides Evaluation and Quality Improvement in the Behavioral Health Community. Using a unique program called the EQUIP, CCNY has blended best practice standards and cutting edge technology to improve outcomes. CCNY has also created a community wide asset-mapping tool which can be updated by the community it serves. Ann Boughtin has worked with CCNY on quality improvement projects for systems of care for children and adults.